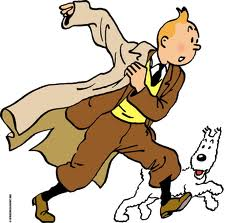 Jason O Mahony » Blog Archive » Will Britain be Snowy/Milou to the EU’s Tintin? Will Britain be Snowy/Milou to the EU’s Tintin? One of the more valid arguments put forward by British eurosceptics is the fact that Britain can happily trade with the United States without having to join the US. This is, of course, true. The truth is, it is not in Britain or the remaining EU’s interest not to maintain a healthy and cooperative relationship post British exit. However, let’s be clear about one thing: whereas the US and Britain are friends and allies, they are not equal partners. Britain is Robin to the US’s Batman, and whereas Batman cared about Robin, we had no doubt who was in charge: 320 million people to 63 million will do that.